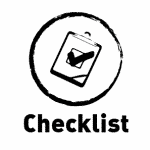 Strategy Checklist: Is your strategy ready to support meaningful measures and KPIs? Why is a strategy checklist important? Imagine a friend saying to you “Can you pop out to the hardware store and buy a tool for me?”. Deciding on your measures and KPIs without having a clear strategy is exactly like going tool shopping without knowing what it is that you are trying to achieve or what tool you need. It’s also equally strange to let someone else decide what tools you might need (so called “off the shelf KPIs”). Imagine being told by a complete stranger that “the hammer is the most useful tool a manager can buy”. If your issue is nail-related then she may have a point. If you have a wood-size issue then you may have a pretty compelling argument that the saw is the king of the tool kit. Without a clear picture of what you are trying to achieve, any debates about the relative merits of KPIs and measures becomes completely unstructured and pointless. Being clear on what you are trying to achieve through measurement is 100% essential and unavoidable. If you skip this crucial step you are very unlikely to end up where you need to be by accident. The next step, after nailing down your strategy is to break this down into a little bit more detail. This next level are what we call strategic objectives, or long-term organisational goals. Become the most popular UK author on KPIs and measurement. Develop a highly visible and visited online and social media presence. Even though I’ve not put many specific measurable targets in there, they are quite specific without being too narrow. Watch out for wooly objectives, with words like “excellence”, “aspire” ,”fantastic”, “best in breed” and “great”, as you will end up having endless debate about what “brilliant” in fact means. It’s far better to start with a bit of clarity. If you are saddled with poorly worded strategic objectives then you have some work to do to make them clearer and more specific. This article isn’t intended to help you develop your strategy, there are lots of excellent books to help you do this. What is crucial is that the strategy is fit for the job intended. Is the strategy written down? Does the strategy make sense to an intelligent, but non-specialist, reader? Is there broad management consensus that the strategy is correct? Is your strategy relevant to the key decision makers in the business? Is your strategy is linked to clear and specific strategic objectives? Are the strategic objectives physically accessible by all the managers within the organisation? Are the strategic objectives broad and non “dated” (rather than simply being important actions that will be completed at some point)? Are the management across the organisation familiar with the strategic objectives, without scrambling onto the intranet or looking for bits of paper? 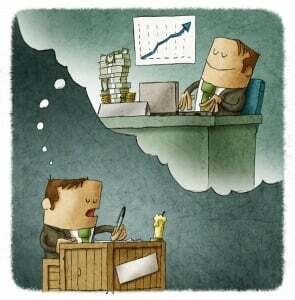 Are the key decision makers either working to the strategy or attempting to work to the strategy? Are there fewer than 7 strategic objectives? If the answer to the questions above is “yes” then you should be in a good position to start developing your measures. If any of your answers is “no” then much of your hard work could be undone if you start to create measures without fixing the problems with your strategy. The very first workshop I ran after setting up Made to Measure KPIs, to create measures for a large not-for-profit, rapidly identified that there was no clear strategy for that organisation. Instead of developing a working set of measures, as planned, we ended up doing lots of case studies. I learned early on, no strategy = no meaningful measures. A clear strategy that creates an aligned set of measures will mean that most of the people in the organisation are pushing in the same direction at the same time. A badly designed set of measures and KPIs will mean that alignment and collaboration is likely to be random and poorly controlled. Just to underline this point, I worked with a financial services firm that felt the “error rate” in their process was strategically important. They created a scorecard that focussed almost entirely on the “right first time” rate and linked it directly with their staff’s personal bonus. If they hit 99.9% quality they would get their bonus. Funnily enough, almost everyone got their accuracy bonus but complaints trebled in two years. Whilst most of the ideas you need to succeed are in the books Bernie has written, sometimes you just need some practical advice on how to apply those ideas to your organisation. A little help can give you a big boost towards your performance goals. Bernie can provide an array of KPI and improvement services to give you fresh insight and new angles to tackle your measurement and improvement problems. A quotation and situation analysis are provided in the 'Initial Review', a completely frank 60 minute phone consultation. Preparation: We will send you an application form, with costs and payment details for the session. Once payment is made, we will send you a preparation form by email. You can also share any materials or documents you feel will be helpful during the discussion (secure share details are included in the application form). Timing: We will advise you of the next available consultation slot. Qualification: Bernie has a lot of demands on his time, with only a few consulting clients accepted. If your need is outside of Bernie's' core expertise he will (gratefully) decline your application but recommend other resources to you. Focus: These sessions are 100% focussed on delivering the best possible solution to your challenges. There's no agenda to sell further products or services to you, just the intention to deliver the best possible value. Recording: The call will be recorded and shared with you afterwards, so there's no need to take notes and no chance of missing anything. Satisfaction: If, within the first 15 minutes of the call, you decide that this isn't right for you, you are free to call a stop to the call - the consultation is free. After 15 mins you are committed to the whole call. Thanks for your message! We’ll be in touch about your consulting session soon.